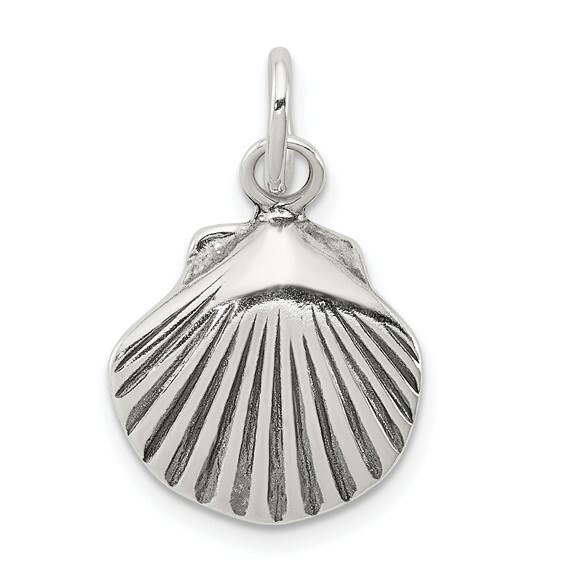 Sterling silver antiqued sea shell charm has an open back. Item measures 5/8 inch tall by 5/8 inch wide without bail. Weight: 1.6 grams. Import. Fits up to a 3mm wide chain. Good quality. Shipped on time.